This range is the preferred choice in many industries such as flood clearance, water tank emptying, fire services, flat roofing and many others. 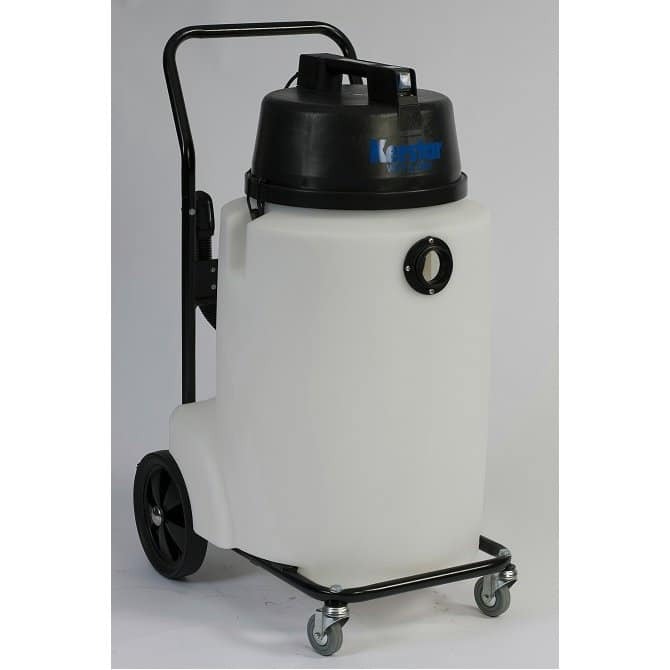 The Kerstar CV100 wet and dry industrial vacuum model range is based on a very strong implosion resistant rotationally moulded plastic canister mounted on a heavy duty epoxy coated tubular caddy. The detachable caddy is fitted with two 240mm rear wheels and two heavy duty swivel castors. The motor head is moulded from thick section dent and corrosion resistant plastic. The standard model, which is suitable for wet or dry pick up, is fitted with a drain hose and stopper to facilitate quick liquid disposal. Pump out models are fitted with a high quality stainless steel submersible pump, automatic float type level switch and 10 metre long see through discharge hose. 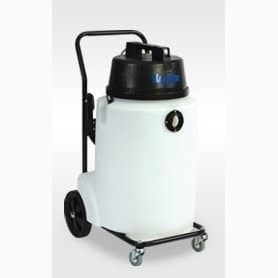 This allows continuous collection and pump out – especially useful for flooded basements and tanks or where it is too far to push the unit to the water disposal point. Pump out models are suitable for wet pick up only.